Booking a trip for the holidays? Whether you are visiting family or traveling for recreation, it’s important to make your plans in advance when you are traveling with kids. As a mom of two kids under age six, I realize that traveling across the country can be difficult. Trust me, traveling is hard with a potty trained two year old and an active five year old! While researching this topic, I got advice from parents who have successfully taken their kids on long trips. Check out my tips, and share yours on my Facebook page. 1.) Create a role play situation in advance. Set your expectations, and make them clear, well before you travel. A serious discussion can work well for older kids. For younger kids, try a role play situation. Walk through how to (and how not to) behave in different situations you will encounter during your travels. Kelly Pietrangeli, owner of Project Me for Mothers, created a flight simulation when her kids were going to take their first long distance flight. Pietrangeli created rows of seats in the living room to represent the airplane. The kids practiced how they would sit to find a seating a arrangement that would work for them. Pretending to be on the plane helped the kids understand what they shouldn’t do, like kick the seats in front of them. Try something similar in your home. Show why certain rules need to be in place, and act out what happens when there aren’t rules. Your kids will learn what to expect during their travels. Take turns showing the right way to do something and the wrong way to do something. Let your kids explain why doing things the wrong way would cause problems. 2.) Pack Entertaining Gear for the Kids. Bring entertainment for your travels. Some kids are so accustomed to technology that taking it away makes them bored. Engage your kids with technology that will also help them record the vacation. 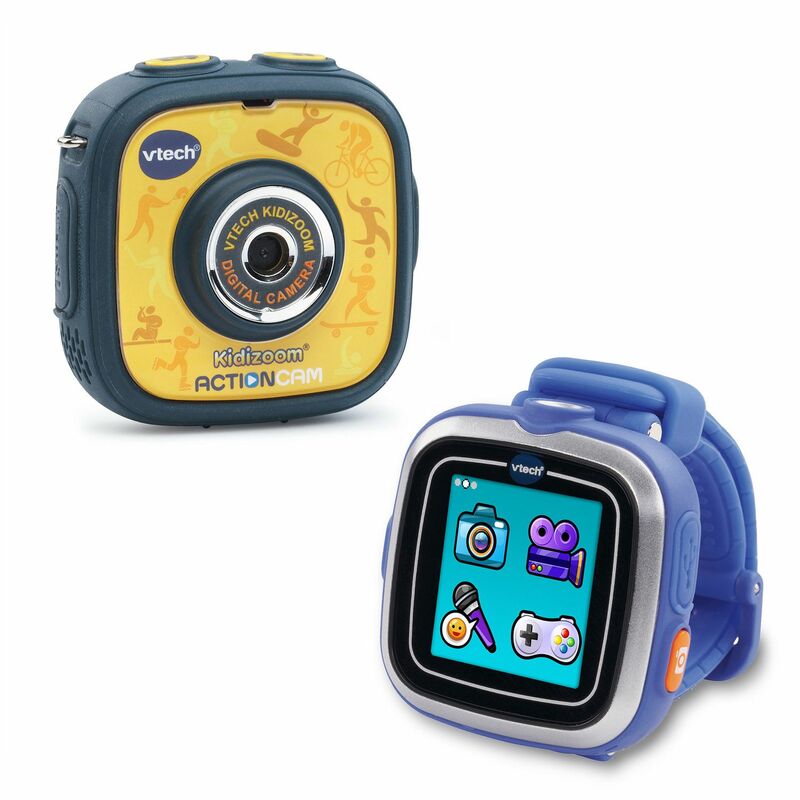 One hot item this year is the Vtech Kidizoom Action Cam/Smart Watch Bundle that you can get from Sam’s Club. With the action cam, you can use it when you arrive at your destination to record important moments, and use it during the trip to record memorable stops on your way. The smart watch is great during a trip because it comes with a lot of different entertaining features. You can record your voice and add effects, use the watch as a camera/video camera, and play learning games. Also check out the great travel deals from Sam’s Club. Booking a last minute travel arrangement? Use the Deals tab to locate a last minute savings. I found a lot of deals for fun spots to travel during the holidays. 3.) Pack duplicates to prevent sibling rivalry. The last thing you want to deal with is sibling rivalry on the road. Author Cara Maksimow, owner of Maximize Wellness, recommends having duplicates of small things, like games. My daughters always want the same toys at the same time. I’ve learned to buy two of the toys that matter, like their favorite dolls or technology items. Another thing to bring plenty of is snacks. You don’t want the kids to argue over who gets the better snack, toy, or game. Bring plenty. 4.) Take breaks during your travel. When kids are in the car too long, they get cranky. Plan stops along your way. I always look at a map in advance to find a few spots that look good to visit. You could also stop at rest stops, and bring comfortable shoes, like these styles from Pediped. While you might be eager to get to your destination, your kids hope to play soon. Bring a frisbee or a ball, and get your kids’ energy out with a quick 15 minute play break. Where are you traveling this year? Are you making special arrangements to make the trip better for your children? Share in the comments section below. I received a free item to help inform my writing, but it in no way influenced my opinion! #1 is genius! I think I kind of do this anyway but don’t make a conscious effort to do so- I’ll remember to now! Great suggestions! Thank goodness we don’t have to travel too far during the holidays. But gadgets like the V-Tech one you mentioned are always helpful regardless! I love the role play idea, too!! I love the flight simulation idea! I’m dreading flying across the country with my toddler. I also like the idea of packing duplicates… fights over toys on a flight would not be fun! I know, I thought her idea was awesome! Great ideas about traveling with the little ones. My grandson is 10 yrs old and we haven’t flown more than about and hour and half. So I guess the test is coming up when it will be almost 3 hours. Since he is a little older, a camera seems a great suggestion. Thanks for the idea. Great tips! I’ll keep these in mind for when I actually decide to start traveling…or have kids. Lol! These are great and important tips. This time of year people tend to travel a lot I hope they get to read these tips.